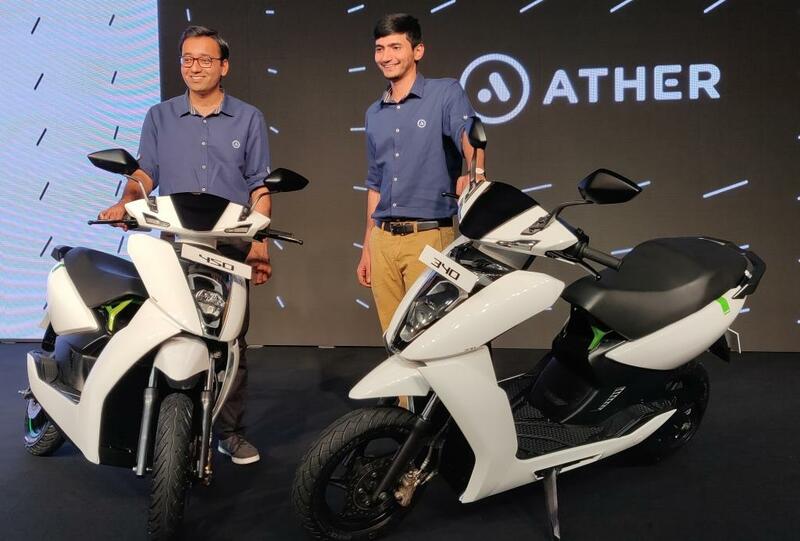 Bengaluru based startup company Ather Energy launched their much awaited electric scooters on June 05, 2018, at a function at Bengaluru. Electric scooters do not pollute the environment. It is not just a coincidence that Ather launched the non-polluting electric scooters on World Environment Day. Ather launched two variations of their electric scooters, namely Ather 340 and Ather 450. 340 will cost ₹1,09,750 and 450 will cost ₹1,24,750. The Ather 450 is designed for city riding conditions, it comes with a top speed of 80 km/hr, a range of 75 km and one of the quickest accelerations of 3.9 seconds from 0-40 km/hr in the scooter category. The Ather 450 has a 7” touchscreen dashboard that allows onboard navigation with options of alternative routes and saved locations. It comes with the Ather app that enables push navigation from the phone to the vehicle dashboard, remote monitoring of the vehicle health and charge monitoring. Finally, with the over-the-air (OTA) updates functionality, the vehicle is capable of improving over time with continuous updates and addition of new features and functionalities. Ather 340 has a top speed of 70 km/hr, a range of 60 km and can accelerate from 0-40 km/hr in 5.1 sec. There is a companion app for the scooters which is available in the app/play store. 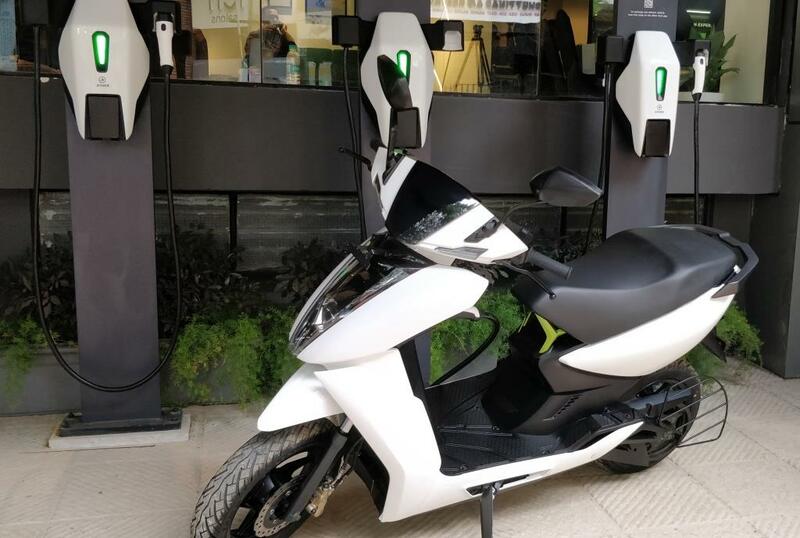 Earlier on May 21, 2018, Ather has launched the Ather Grid, a network of electric vehicle charging points. These can be used to charge not only the Ather scooters, but also any other electric vehicle. At present there are 17 such points in Bengaluru which will be expanded to have 40 soon. These points will be available at malls, cafes, restaurants, tech parks, multiplexes and gyms. This is really Very good for environment. Thnx for the information. Latest Music Lyrics on Xiaomi Mi4 : Worthy successor to Mi3? siddesh on Xiaomi Mi4 : Worthy successor to Mi3?